'People would ask "what is that? ", not "who is that?"' says one of the narrative voices in co-creators Allan Greig and Grant Smeaton's contemplation of German electro-pop/opera performer Klaus Nomi. As famous for his outlandish costumes and make-up as for his distinctive countertenor vocals, Nomi came to prominence on the New York alternative art scene in the late 1970s. He died, aged 39, of an AIDS-related condition in 1983. Played on a defiantly low-tech, white box set, the piece is not only a partial biography of Nomi, it is also an affecting portrait of the overlapping New York art and gay scenes in the years leading up to the onset of the AIDS catastrophe. This is a subject Smeaton has touched on before - when he performed Martin O'Connor's lovely one-man show Ch Ch Changes in 2011. 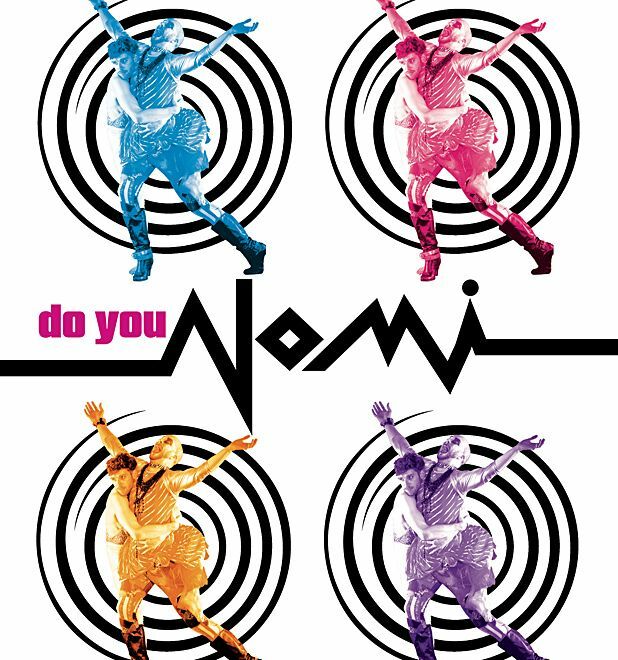 Like O'Connor's piece, Do You Nomi? is humorously and movingly evocative of a period of hedonism which was stopped suddenly and appallingly by the explosion of the pandemic. Greig's choreography has moments of impressive, Michael Clarkesque impressionism, and is performed with emotive fluidity by Darren Anderson and Jack Webb (although it must be said that as actors, they make good dancers). For all its strengths, the dance does occasionally topple over into metaphorical excess, such as when it attempts to evoke through movement the initial fear of AIDS among gay men in New York. There are nice performances from Laurie Brown (as a camp NYC cabaret host, among others) and Drew Taylor (deceptively charismatic as Nomi). Appropriately enough, given that Nomi declared himself 'artificial' and 'beyond human', this variable-but-interesting show leaves its strongest impression in the visual sphere; a fact which is largely down to Veronica Rennie's superb recreations of Nomi's costumes. Seen at Tron Theatre, Glasgow. Touring until Thu 7 Mar. Four male dancers recount the story of actor/singer Klaus Nomi and his hold over the New York avant-garde scene until his death from AIDS-related complications in 1983. A mix of theatre, dance, and dialogue, the original show is a collaboration between director Grant Smeaton and choreographer Alan Greig.